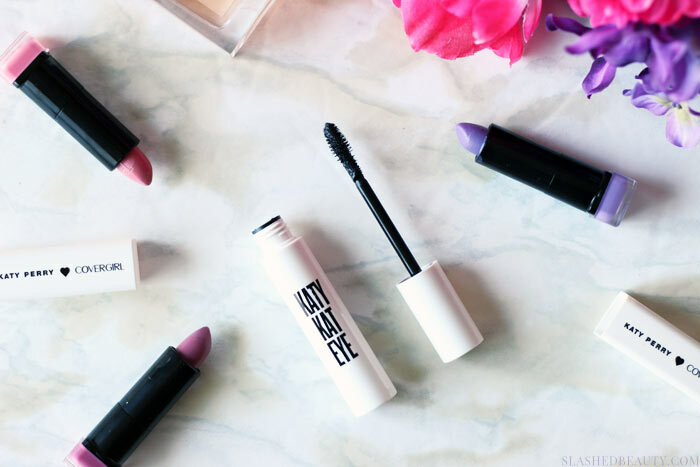 After loving the lipsticks from Katy Perry and Covergirl’s exciting makeup collaboration, I was excited to keep exploring the line and test out the Katy Kat Eye mascara. Katy Perry has the biggest, most gorgeous eyes that are usually styled in her signature cat eye with luscious, fanned out lashes. Being that this is also my go-to look, I wanted to see how the mascara fared with my stick-straight lashes. 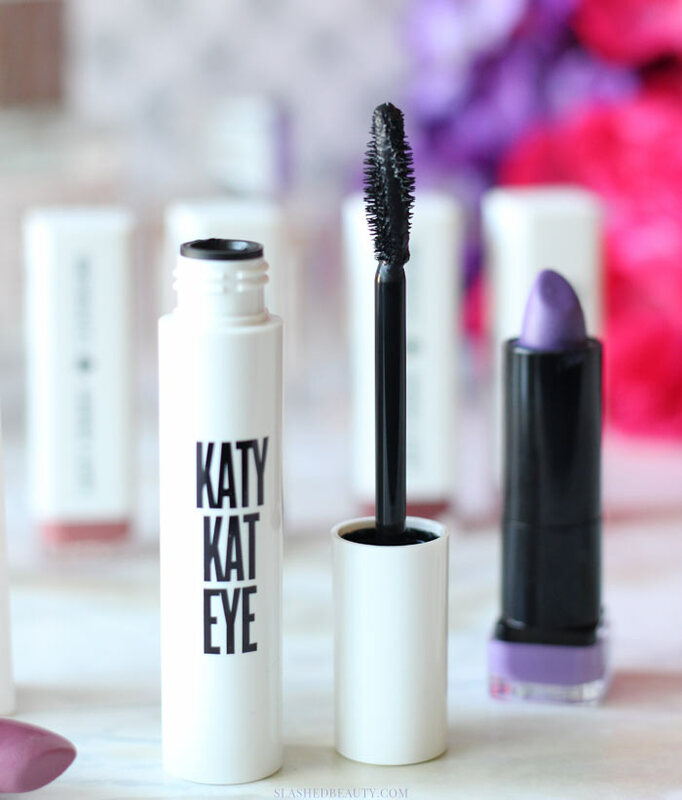 The Katy Kat Eye mascara is supposed to offer 10x Volume and darkness with a ‘360 degree sculpting brush’ that has a large twist to pick up the lashes and fan them out. I usually really like twisted mascara brushes, since they work really well to catch all of my lashes from corner to corner and layer on product. The first thing I noticed was that the formula is very wet, which is great for layering on coats when you want a dramatic look. However, the stopper within the tube is a little too wide, and you end up with a lot of this product on the brush. If you try applying straight out of the tube, you’re going to end up with a little too much, which makes clumping inevitable. After wiping the excess on the edge of the tube, I applied onto my curled lashes. 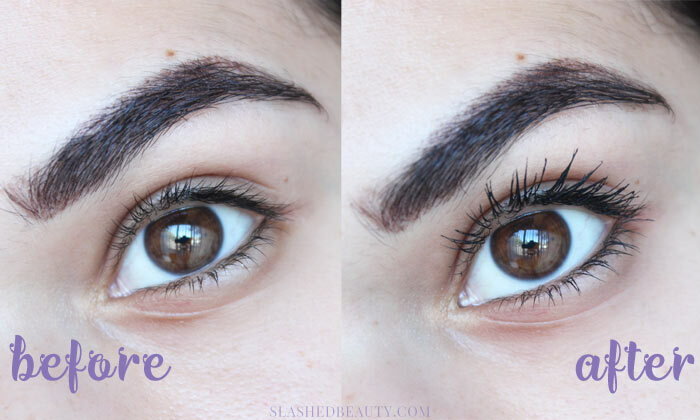 The tapered and twisted brush shape made it easy to grab almost all of my lashes in just one swipe, an I could see the lengthening and volumizing happening immediately. The mascara layers pretty quickly, so it’s easy to build up and get a va-va-voom look. I really needed to play around with it to avoid clumps, though, with a lot of wiggling and using a lash separator since the mascara is thick. But, I can’t deny that I’m seeing a ton of enhancement compared to my natural lashes. Throughout the day, even after an accidental eye rub, I didn’t experience any smudging or flaking, which I was super thankful for, though I don’t know if it made the little time investment in the morning to really get my lashes coated and separated worth it. I think if they had a tighter stopper and a brush with bristles a tad more dense, this mascara could be great. It’s obviously a long lasting mascara, but I didn’t quite get the lash effect I was hoping for because of the clumping. Close, but no cigar! 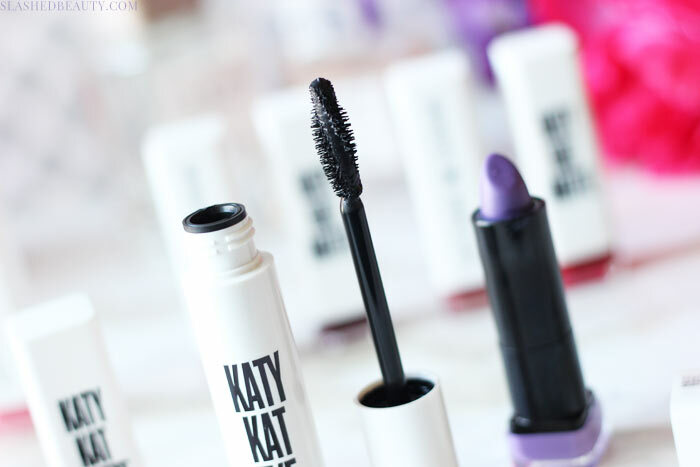 The Katy Kat Eye Mascara is available in three shades: Very Black (the one I’m wearing), Black, and Perry Blue, and is available at Ulta Beauty for $8.99. Have you tried this mascara yet? Did it work differently for you?